I grunden är Carl-Henrik utbildad personalvetare och har ovanpå det flera års erfarenhet av ledande positioner inom HR där han främst jobbat med rekrytering och utbildning. Carl-Henrik har ett entreprenörshjärta och ett genuint intresse för människor och personlig utveckling. Detta visar sig i såväl hans engagemang på Modeverket som i andra åtaganden, exempelvis att driva ett premiumgym i Stockholm. Jens Peter works with recruitment in all business areas and also does management consulting, organizational development, strategy and business development, coaching and board work. 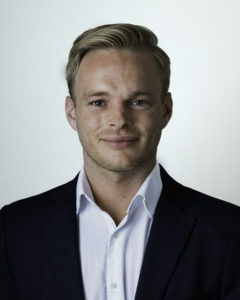 His extensive experience includes the positions: Founder and head of People Company since 2006, for which primary responsibilities and duties included management consulting, organizational development, strategy and business development, recruitment as well as the establishment of Modeverket in Denmark. Head of Assistance Personaleservice a/s, where his primary responsibilities and focus were on management of day-to-day operations. Group Marketing & HR Director, Bluetel Group – member of group management for which primary responsibilities and duties included management and marketing for subsidiaries. Jens Peter has also been Management Consultant at Mercuri Urval Business Development and Human Resources Director of the DLG Group. He has a Master of Science in Economics and Business Administration. Brita Agnethe Johansen has worked in the fashion industry in Norway for over 20 years. She began her career in makeup and styling, studying at Art Complexion makeup school and working for magazines, newspapers, television, record labels, etc. She moved into styling sales at Huset Sand Norway in 1999 and then under Huset Høyer as sales manager for By Malene Birger in 2003. In 2007, she branched out on her own as an agent with the brands Designers Remix, Maje and Manoush and has represented several brands through the agency. Today, she continues to work with Designers Remix, which has been there from the beginning and has 75 customers. Current sales for Designers Remix place it among the largest wholesalers worldwide. In addition to this is Ravn, which has been built up over four years to its current 50 customers and has impressive sales. Through her experience as an agent managing a wide variety of clients, as well as her previous experience in makeup and styling, Brita has an exceptional overview and understanding of the fashion industry in terms of fashion label wholesalers, retail, designers, production, stylists, photographers, magazines, press, bloggers, etc. Nina has worked with recruiting since 2006 and has recruited to top management and specialist positions. She has unique experience recruiting at all levels. Nina has built up a solid network and possesses a genuine interest in people. Her good references and customer feedback are proof of her recruitment success. Her network spans several sectors including the sports sector and design and branding agencies. In addition to active education as a coach within the International Coach Federation (ICF), Nina is certified in the Cut-e assessment tool, which consists of aptitude tests, and the personality tests Shapes and values tests Views. 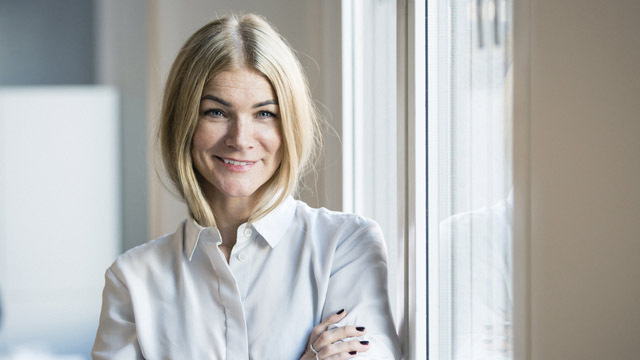 Helena has over 15 years’ experience from the fashion and footwear sectors, primarily from purchasing and management within major companies such as H&M, Lindex, Varner-Gruppen (Product Manager) and Gina Tricot (Business Area Manager). “With my industry experience and interest in people, the choice to work with recruitment came naturally to me.” In addition to her previous experience, Helena is a Certified Business and Leadership Coach, ABLC. She is also a certified Extended DISC user in personality analysis. 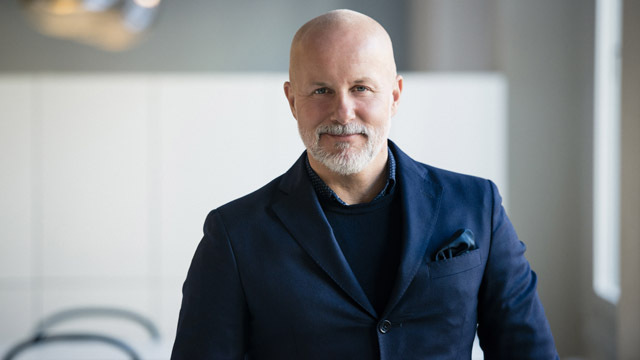 Mattias has more than 20 years’ experience from the fashion and sport sectors, primarily as a manager in companies such as Frank Dandy (founder), JC (head office) – Department Manager, and Selected Brands – Sales Manager. In addition, Mattias has also worked as Marketing Manager for Gore Tex Footwear in Scandinavia and, at the beginning of his career, as a sales representative for Replay in Sweden and Norway. 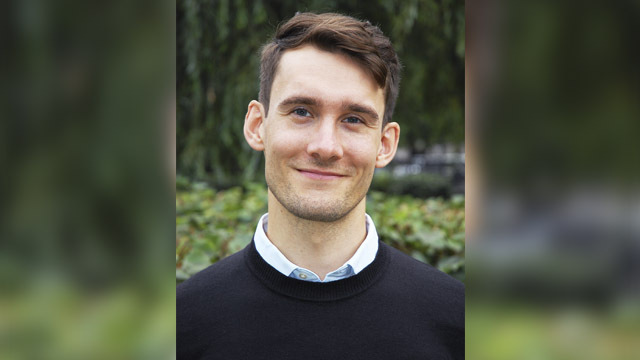 “I consider one of my main strengths as a recruiter to be the extent of my experience and the security it provides when working with both clients and candidates,” says Mattias. 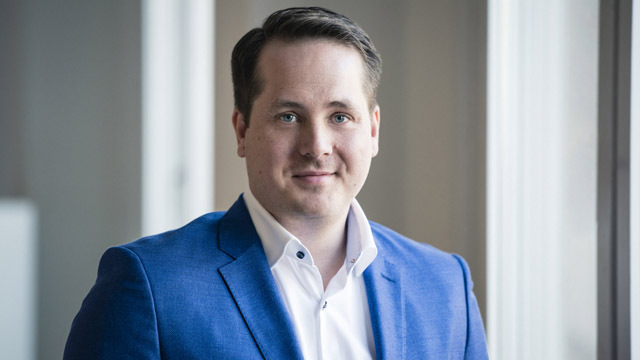 Mattias is also an ICF certified coach, certified personality analyst in JobMatch Talent’s occupational psychology HR tool for recruitment and development, and Licensed Board Member. 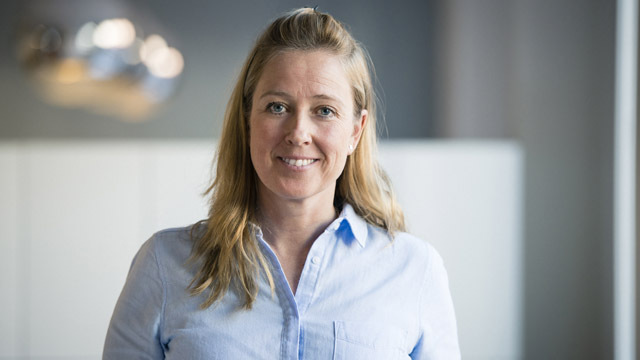 Sandra Jönsson is a recruiting coordinator in Stockholm and works with supporting Modeverket’s recruiters in the administrative aspects of the recruitment process. Sandra works primarily with job advertising, research and applications. Sandra has a background from the fashion industry in retail, sport and purchasing for companies such as Stadium and Venue Retail Group. She has also previously worked with recruitment and candidate management as a project coordinator at Mercuri Urval. Malin Bunge Lindroos is a recruiter in Stockholm. 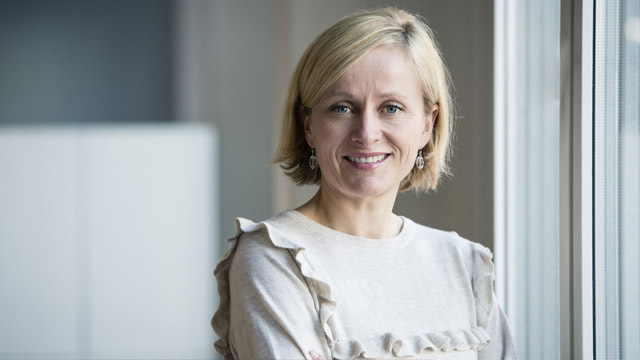 Malin has extensive sales experience in both retail and wholesale, most recently as a supply planner within the FMCG segment at Åhléns’ Beauty Department. Malin has previously worked with sales and brand building for companies such as Nanso and House of Dagmar. Her educational background includes textile design and pattern making/design at Stockholms Tillskärarakademi (The Academy of Cutting and Tailoring in Stockholm), and logistics development. 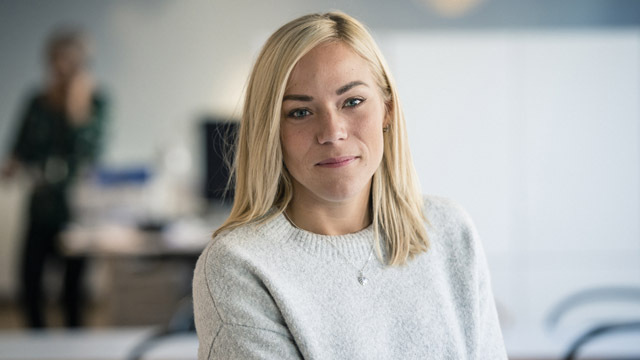 Anna Beltrami is a senior recruiter in Stockholm specializing in management positions within sales, e-commerce, marketing, product range, production, and purchasing as well as specialist roles such as designer and pattern designer/maker. Anna began her career as a professional dancer and has extensive experience within both retail and wholesale. She has worked at companies such as House and IC Companys. Anna has also worked with sales, marketing and HR for Pilgrim and was key in establishing Pilgrim in the Swedish market. In addition, she has managed and operated her own e-commerce company. Johan Bertills is CEO of Modeverket and is based at the headquarters in Stockholm. Johan has been a partner in the company since 2007. In 2016, he took over the role of CEO. Johan is educated as a systems scientist and economist with specialization in information systems and organizations and has many years of experience as a consultant in the IT and finance sectors. Johan’s experience in the fashion industry began as a partner in the clothing chain Wico and the retail chain Pagelle, where he also worked with logistics and systems issues. Nicolai er rekrutteringskoordinator i Oslo og jobber med å støtte Modeverkets rekrutterere i de administrative delene av rekrutteringsprosessen. Nicolai jobber primært med annonser, research og søknader. Nina har jobbet med rekruttering siden 2006 med leveranser til topp management nivå og spesialiststillinger. Unik erfaring med search til alle rekrutterings nivåer. Hun har opparbeidet et solid nettverk og har en genuin interesse for mennesker. Hun har gode referanser og tilbakemeldinger å vise til fra hennes rekrutteringsprosesser. I tillegg til et godt nettverk innen flere bransjer som blant annet sportsbransjen og design- og brandingbyrå. I tillegg aktiv utdannelse som coach, ICF international coach federation. Nina er sertifisert i DNV-godgjente testverktøyet Cut-e som består av evnetester, personlighetstester shapes og verdi testen Views. Johan Bertills är VD för Modeverket och utgår från huvudkontoret i Stockholm. Johan är delägare i företaget sedan 2007 och tog 2016 över rollen som VD. Johan är utbildad systemvetare och ekonom med specialisering på informationssystem och organisation och jobbade under många år som konsult inom it -och finansbranschen. Johan hade tidigt erfarenhet från modebranschen som delägare i klädkedjan Wico och butikskedjan Pagelle där han också arbetat med logistik och systemfrågor. Arbejder med Rekruttering på alle forretningsområder og udfører også opgaver med bl.a. ledelsesrådgivning, organisationsudvikling, strategi- og forretningsudvikling, coaching samt bestyrelsesarbejde. Jens Peters kompetencer og mangeårige erfaringer er senest skabt gennem ansættelser hos: People Company som direktør og stifter siden 2006. Primært ansvars- og arbejdsopgaver på ledelsesrådgivning, organisationsudvikling, strategi- og forretningsudvikling, rekruttering samt etablering af ”Modeverket” i Danmark. Assistance Personaleservice a/s som direktør med primært ansvars- og arbejdsfokus på den daglige drift og ledelse deraf. Bluetel Group som Group Marketing & HR Director. Medlem af koncernledelsen. Primært ansvars- og arbejdsfokus på ledelse og marketingfunktionen med datterselskaberne. Titler som Managementkonsulent i Mercuri Urval Business Development og Personaledirektør for DLG-koncernen står også på Jens Peters CV. Jens Peter har en uddannelsesmæssig baggrund som Cand.merc. Helena har drygt 15 års erfarenhet ifrån Mode och Skobranschen, främst som inköpare och ledare i stora bolag som H&M, Lindex, Varner gruppen (Produktchef) och Gina Tricot (Affärsområdeschef). ”Med min erfarenhet av branschen och intresse för människor var valet att att arbeta med rekrytering naturligt för mig” Utöver sina tidigare erfarenheter är Helena också certifierad Business and Leadership coach, ABLC. Även personlighets analytiker i form av certifierad Extended DISC user. Charlotta har drygt 20 års erfarenhet från mode- och inredningsbranschen, främst inom inköp och produktion och drev under flera år ett eget företag som sålde ekologiska sov- och mysplagg för barn. Hon har haft ledande positioner som inköpschef och produktchef för företag som JC, Joy Shop och Partnership Sweden AB. Mattias har drygt 20 års erfarenhet ifrån Mode och Sportbranschen främst som ledare i bolag som Frank Dandy (grundare), JC (HK) – Avdelningschef och Selected Brands – Försäljningschef. Utöver detta har Mattias även arbetat som Marknadsansvarig för Gore Tex Footwear i Skandinavien och i starten av sin yrkesbana även som säljare för varumärket Replay i Sverige och Norge. ”Just själva bredden av erfarenheter och tryggheten det innebär, känner jag är en av mina främsta styrkor när jag arbetar med både kund och kandidat som rekryterare säger Mattias”. Mattias är också Diplomerad Coach (ICF), Certifierad personlighetsanalytiker inom JobMatch Talents arbetspsykologiska HR-verktyg för rekrytering och utveckling samt Licenserad styrelseledamot. Malin Bunge Lindroos är rekryterare i Stockholm. Malin har en gedigen erfarenhet av sälj både inom retail och wholesale. Malin kommer närmast från en supply planner roll inom FMCG segmentet på Åhléns Skönhetsavdelning. Dessförinnan har Malin arbetat med försäljning och varumärkesbyggande för bland annat Nanso och House of Dagmar. Hon är sedan tidigare utbildad inom textil och mönsterkonstruktion vid Stockholms Tillskärarakademi och har även en utbildning inom Logistikutveckling. Sandra Jönsson är rekryteringskoordinator i Stockholm och arbetar med att stödja Modeverkets rekryterare i de administrativa delarna i rekryteringsprocessen. Sandra jobbar primärt med annonser, research och ansökningar. 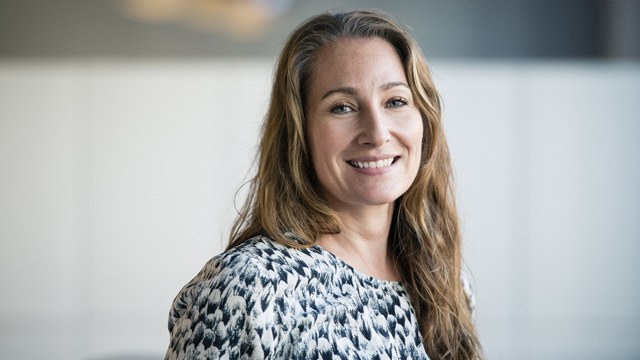 Sandra har bakgrund ifrån modebranschen inom retail, sport och inköp och har bland annat jobbat för Stadium och Venue Retail Group. Sandra har också tidigare arbetet med rekrytering och kandidathantering i sin roll som projektkoordinator på Mercuri Urval. Anna Beltrami är senior rekryterare i Stockholm och arbetar med ledande positioner inom försäljning, e-handel, marknad, sortiment, produktion, inköp och med specialistroller som designer och mönsterkonstruktör. Anna, som inledde sin karriär som professionell dansare, har gedigen erfarenhet av både retail och wholesale och har arbetat i företag som bl.a. House och IC Companys. Anna har också arbetat med försäljning, marknad och HR i agenturen för Pilgrim och var en av nyckelpersonerna att etablera Pilgrim på den svenska marknaden. Anna har också drivit eget företag inom e-handel.